The delicate baby skin often causes problems and the most common one is eczema. It is expressed in red, crusty patches on your baby’s skin. It usually affects the cheeks and the scalp area, but can also appear on the joints of the arms and legs. 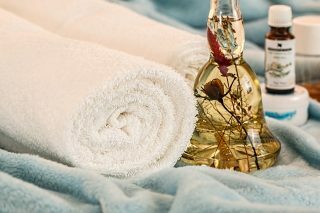 Just like with adult eczema, the most successful treatment is to figure out what is causing the skin to be inflamed, dry, itchy, or irritated. If the baby is breastfed, having the mother eliminate certain foods for a particular period of time can help determine what the baby may be reacting to. In order to alleviate the symptoms of baby eczema the fastest way possible and to help your young one feel better, you’ll need to regularly moisturize, nourish and constantly protect the affected areas. The proper, timely skin care is the first step in overcoming this unpleasant problem. After detailed research, we have collected the best baby eczema creams and lotions that are clinically proven safe and effective for the delicate baby’s skin. The eczema creams and lotions listed below are often recommended by pediatricians, as they are tried and trusted for baby eczema management. 1 Which are the best baby eczema creams and lotions? 2 Which eczema lotion is safe for babies? 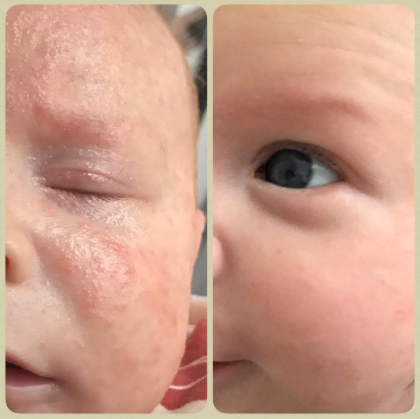 3 How to choose the best eczema creamfor my baby? Which are the best baby eczema creams and lotions? 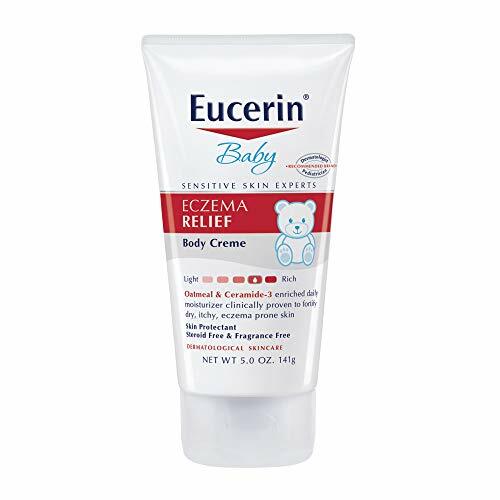 Eucerin baby eczema relief is among the most popular options in case your baby or child has extremely dry, scaly and permanently irritated skin. According to both the manufacturer and the parents who tried the formula, it provides gentle relief for long periods of time. This clinically-developed baby eczema cream is fragrance, dye, and steroid-free. The formula is licochalcone and ceramide-enriched, it is tested and proven to soothe, moisturize and protect the skin from environmental irritants. The next day, my baby’s face was no longer red or rough, still appeared a bit dry. The lotion didn’t appear to sting or burn. By the second day I used this lotion, his skin was soft, and no longer dry. The price factor is another positive aspect of this Eucerin formula – you can get it Online for less than $7! Aveeno is a leading brand when it comes to sensitive skin care. The high-quality ingredients used are dermatologically tested and proven absolutely safe for your baby’s skin, this is why Aveeno is considered the best baby eczema creams and lotions manufacturer. The soothing colloidal oatmeal will provide a gentle moisturizing effect even for the most delicate skin. The intense moisturizing effect will prevent eczema and dry skin recurrence, leaving the skin soft and nourished. The following formulas are clinically proven to relieve the itching and minor skin irritation due to baby eczema. Aveeno creams are suitable for the treatment of eczema on your baby’s face and scalp area. Within four days (see picture), his skin was better. I use this in conjunction with the Aveeno Cleanse Therapy wash when he gets a bath. 2-3 days with aveeno eczema therapy (balm at night and lotion in the morning), everything cleared up…thank goodness! Babyganics is the name of a company, which is completely devoted to baby care, following strict standards, while developing their products. 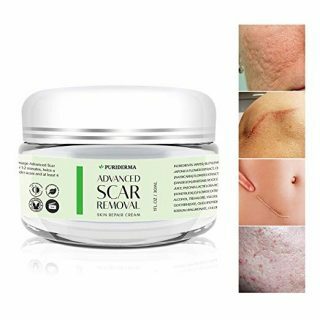 Babyganics product range, specially developed for the treatment of eczema, are non-allergenic, pediatrician & dermatologist tested. The formulas are plant-based, using colloidal oatmeal for relieving the common symptoms of baby eczema (dryness, itching, irritation, and redness). They contain no parabens, sulfates, phthalates, mineral oil, petrolatum, artificial fragrances or dyes and were not tested on animals. Babyganics baby eczema cream contains Colloidal Oatmeal as an active ingredient in the formula. The 100% natural, cold-pressed seed oil blend, enriched with oils from the seeds of Black Cumin, Tomato, Sunflower, Cranberry, and Red Raspberry will protect your baby skin from the environmental irritants. Babyganics baby lotion for eczema with Shea Butter, Olive and Avacado Oils will additionally moisturize the delicate skin, provide calming and soothing effect. Cetaphil, an innovative company, focused on the development of skincare products, aiming to soothe, nourish and moisturize the most sensitive skin, also created a baby product line, targeting eczema symptoms. If you are seeking natural, organic eczema care for your baby or toddler, there are a couple of formulas, suitable for the treatment of baby eczema that will certainly meet your requirements. Such baby eczema creams and lotions contain no harmful compounds while being suitable for severely dry, irritated skin and itchy skin. Which eczema lotion is safe for babies? There are a couple of hypoallergenic baby eczema lotions, which are specially developed for your little one’s delicate skin. They are blended with rich emollients, therefore provide a prolonged intense hydration and are fast absorbing. Unlike cream formulas, baby eczema lotions leave no greasy residue and provide a long lasting hydration. 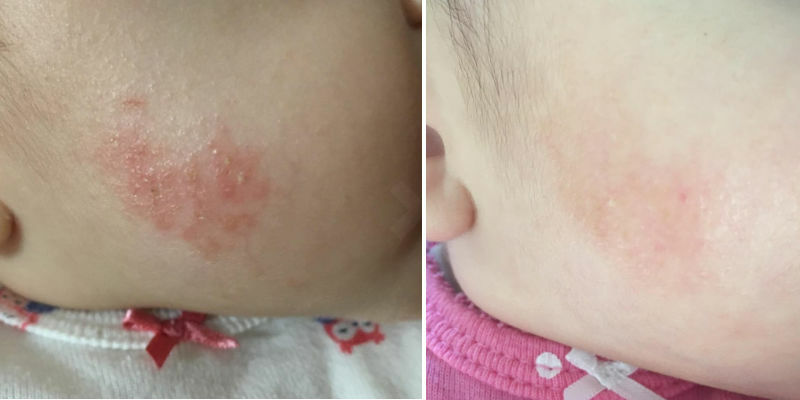 How to choose the best eczema creamfor my baby? 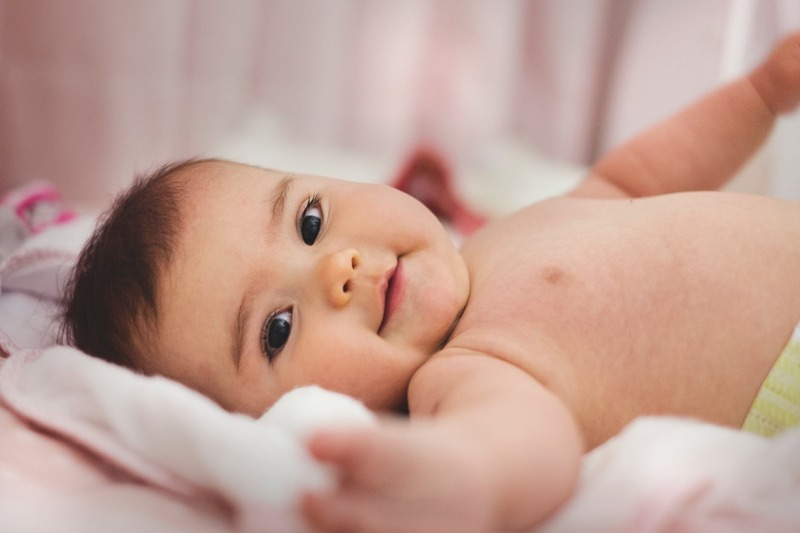 The delicate baby skin often causes problems, especially during the first few months of a baby’s life. As your baby’s skin is extremely tender and sensitive, the affected area is usually red, rough and covered with flakes and/or blisters. The skin is dry, itchy and painful. This condition, also known as atopic dermatitis, affects about 10-15% of children, causing extreme discomfort for the little ones. Do not forget to apply the baby eczema cream in the morning, in the evening, and after a bath, to moisturize and soothe the skin. Choose a cosmetic series from one particular brand, as most products are developed to have a complementary action for a faster effect. The best baby eczema creams and lotions that are clinically proven safe and effective for the delicate baby's skin.